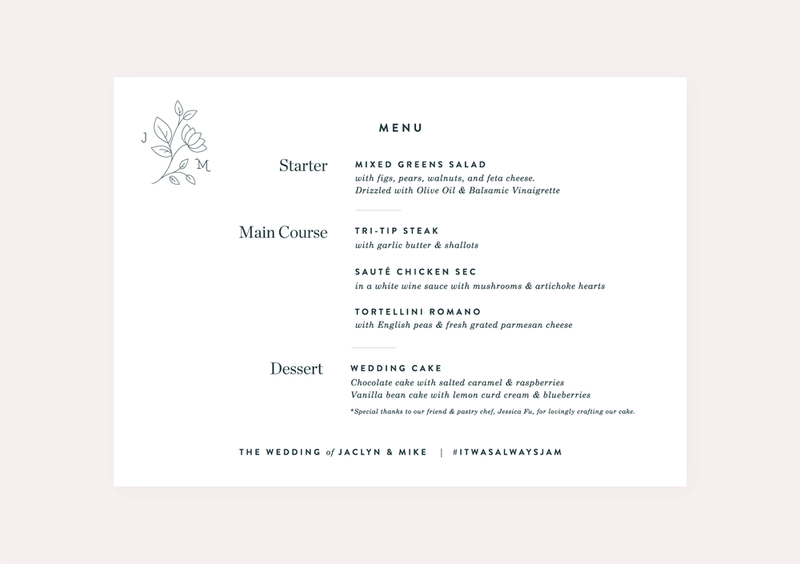 Wedding stationery, paper goods, and digital collateral designed for a very personal, indulgent project, my wedding! 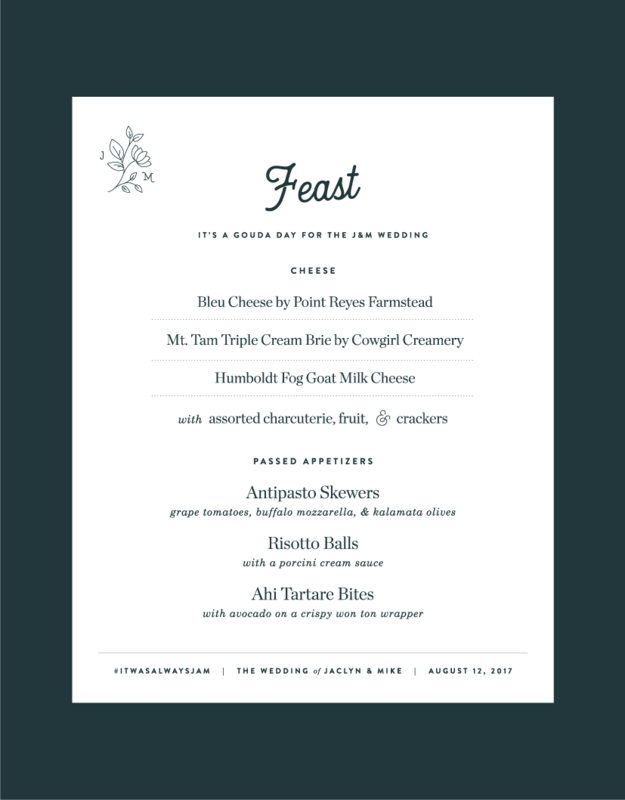 I approached my wedding design similar to a branding project, beginning with brand pillars that dictated the development of the wedding logo, typography, and overall visual story. 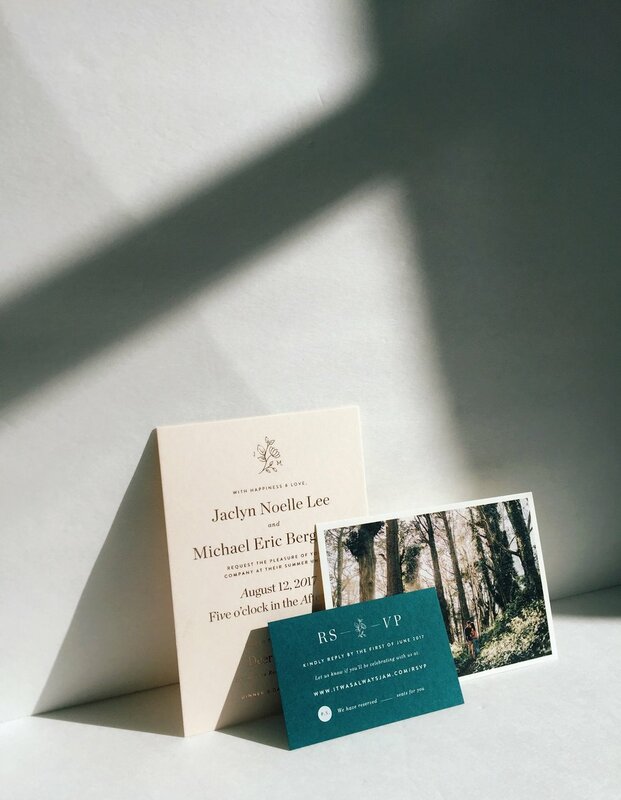 The result was wedding stationery that perfectly emoted the laid back, modern elegant vision we had for our wedding day tied together with clean geometric details and layered paper layouts. 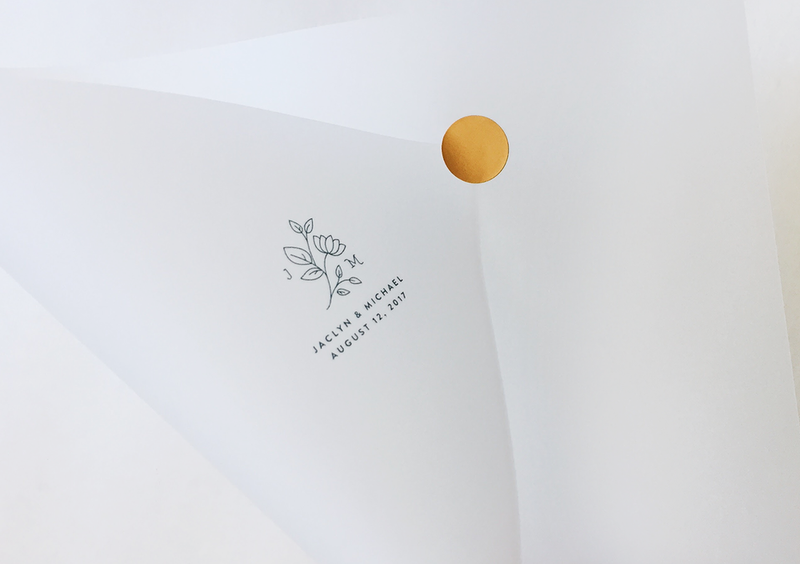 The main invitation was printed on light blush, duplexed paper with rose gold foil and the RSVP card screen printed with white ink. The entire suite was completed with printed vellum that enveloped and accentuated the layered paper pieces. 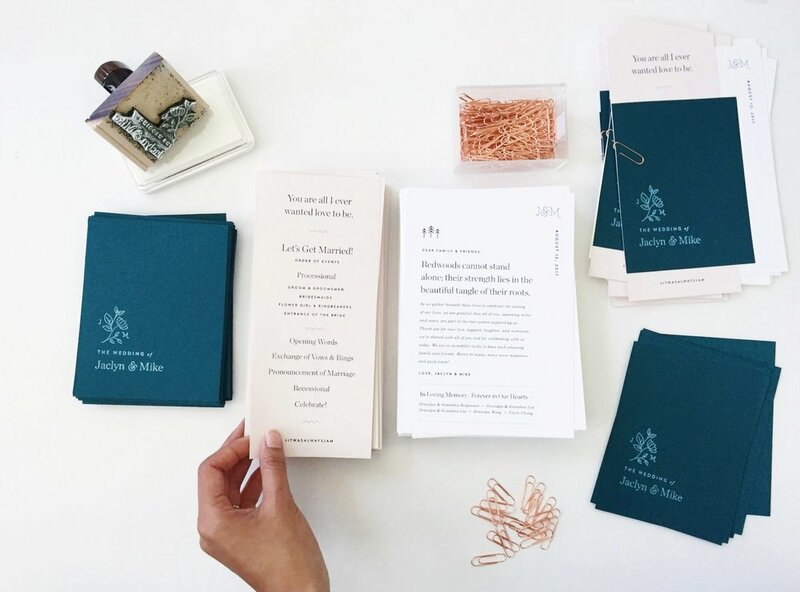 The theme of blush and dark teal layered paper played through the rest of the wedding stationery, including the save the date, ceremony program, and name cards. 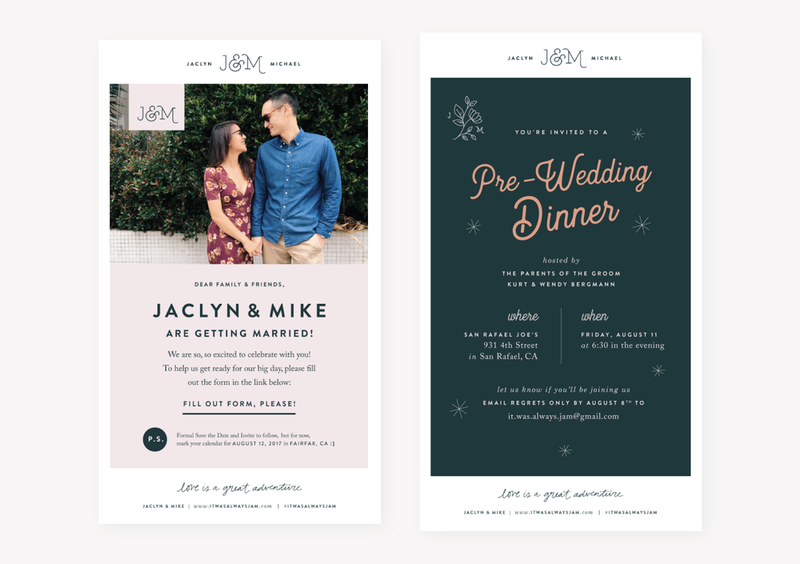 The website design and email communications were designed to be cohesive with the wedding stationery and day-of paper goods. The digital communications further extended the vision and modern elegant feeling of the event. Layered ceremony programs included a letter to the guests, ceremony timeline, and completed with a rose gold paper clip. 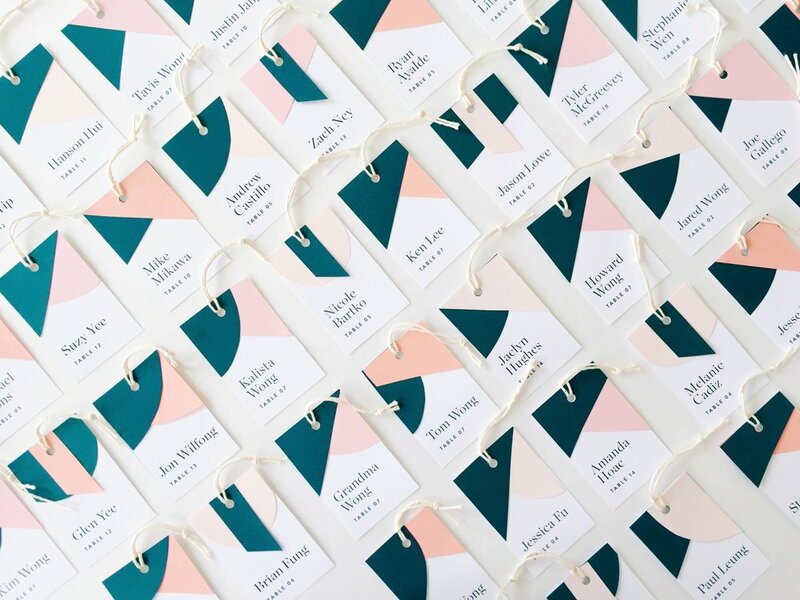 Simple hors d'oeuvres, cocktail, and dinner menus balanced out the event decor and geometric paper details, like the layered name tags.